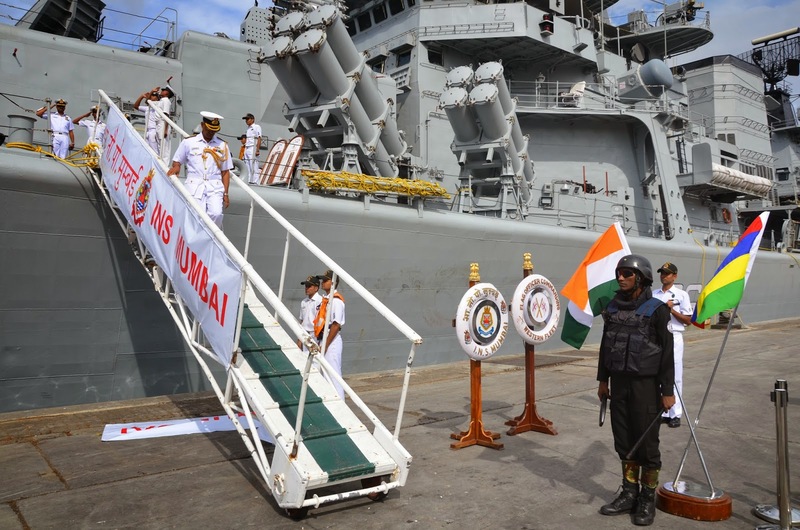 Indian Naval Ships Mumbai, Talwar, Teg and Deepak under the Command of Rear Admiral R Hari Kumar, VSM the Flag Officer Commanding Western Fleet, are on a two-month long Overseas Deployment to East Africa and the South Indian Ocean region. 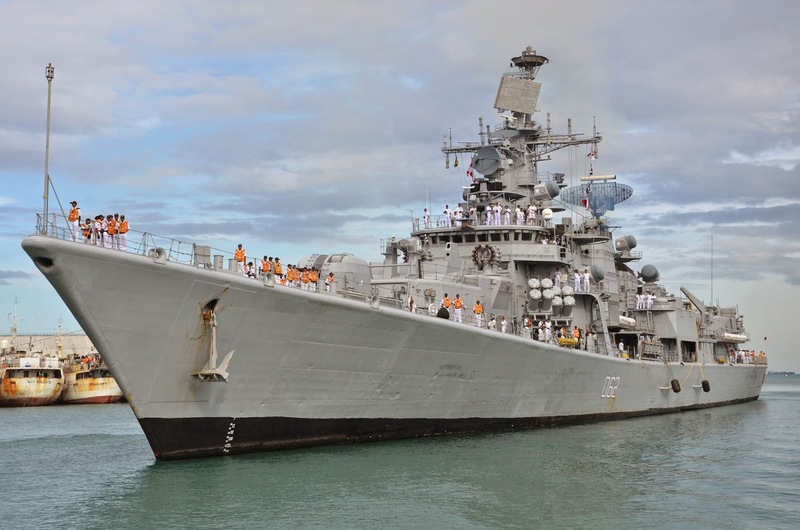 Three of the four ships, INS Mumbai, Talwar and Deepak arrived Port Louis today towards bolstering ties and reinforcing cooperation in maritime security between India and Mauritius. The Indian Navy has close and friendly ties with all the navies of the region. The frequent cross visits by high level delegations, have strengthened bilateral relations. 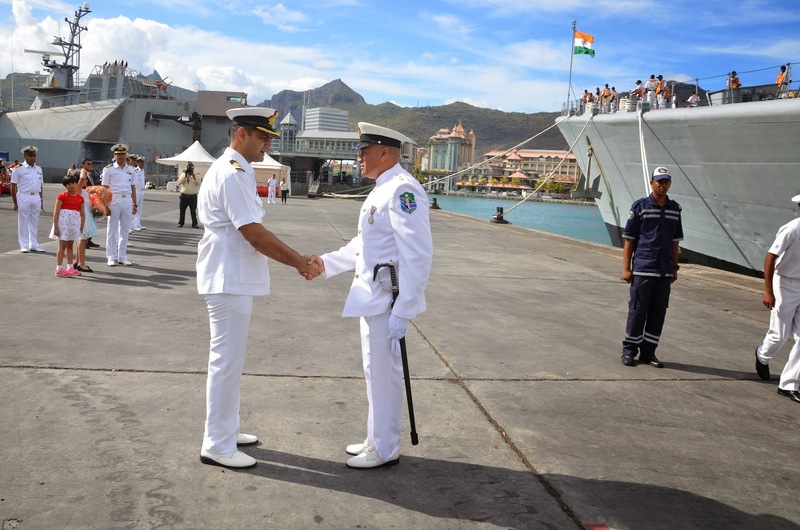 Regular conduct of joint patrols and EEZ surveillance of Mauritius by Indian warships and aircraft, construction of an Offshore Patrol Vessel for the MCG in India, installation of coastal radar surveillance systems and frequent port calls by naval ships signify the growing defence relations between the two countries. 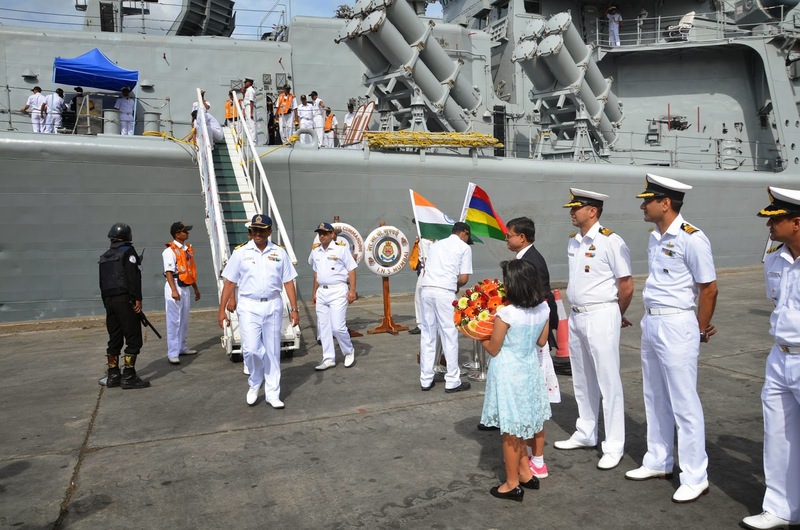 India and Mauritius are also members of Indian Ocean Naval Symposium (IONS), a voluntary and co-operative initiative between 35 countries of the Indian Ocean Region, which has served as an ideal forum for sharing of information and cooperation on maritime issues. 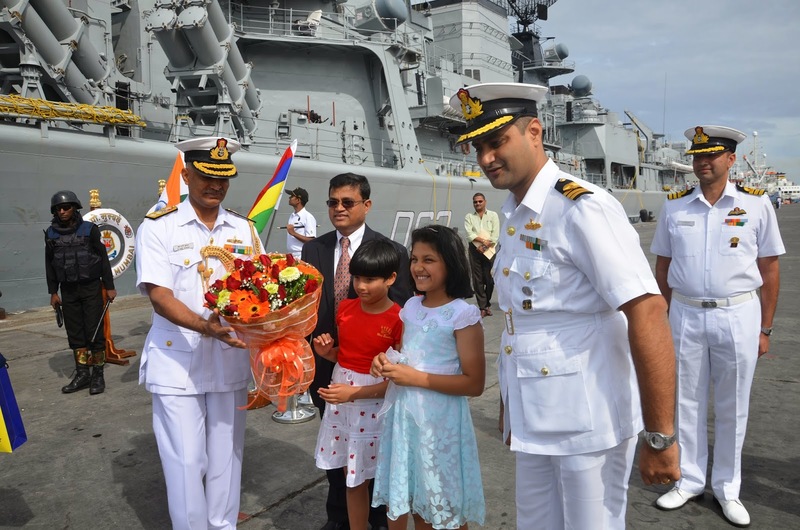 The current visit of Indian Naval ships also coincides with the ‘Apravasi Bharatiya Divas’ being celebrated on 02 Nov 14 and underscores the importance of the maritime connection between Indian and Mauritius.